Civicom® general transcribing service TranscriptionWing is an exhibitor at the annual Qualitative Research Consultants Association (QRCA) conference from January 30th to February 1st in Savannah, GA. TranscriptionWing is showcasing their transcription services and leading-edge features that can help qualitative researchers derive insights from expertly transcribed recordings. This year’s QRCA annual conference, themed “Charting Your Best Course,” aims to enlighten qualitative researchers on the latest best practices, methodologies, solutions, and insights that can quickly be implemented in real-world practice. TranscriptionWing joins over 40 service providers, including Civicom Marketing Research Services, in presenting top-rated services for the qualitative research industry. Since 2005, TranscriptionWing has been providing quick and accurate transcriptions to various sectors including market research. 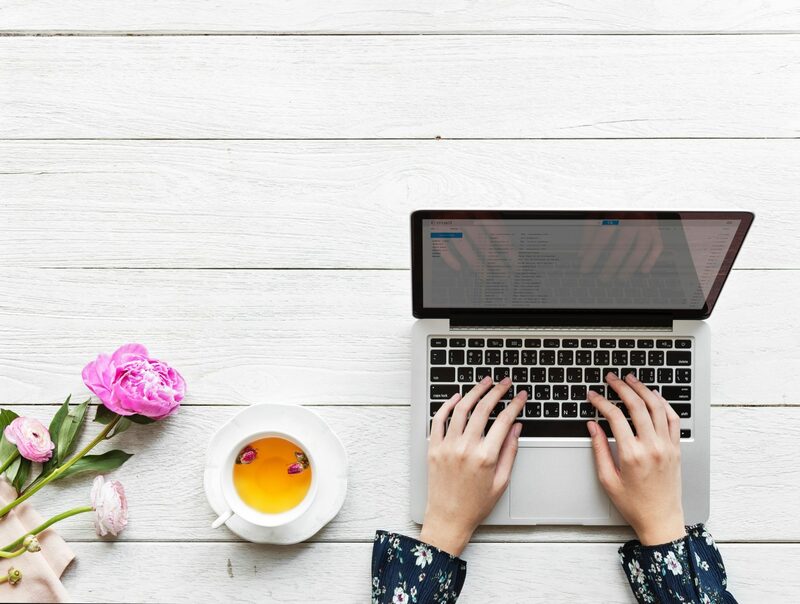 Seasoned transcribers and editors knowledgeable in the interview and focus group process deliver accurate transcripts with flexible turnaround times and rates that can accommodate any deadline or budget. In addition, TranscriptionWing enhances the value of their transcriptions with the unique ListenLink™ feature which aids qualitative researchers in identifying key segments of their interview or focus group recordings through easily accessible links. 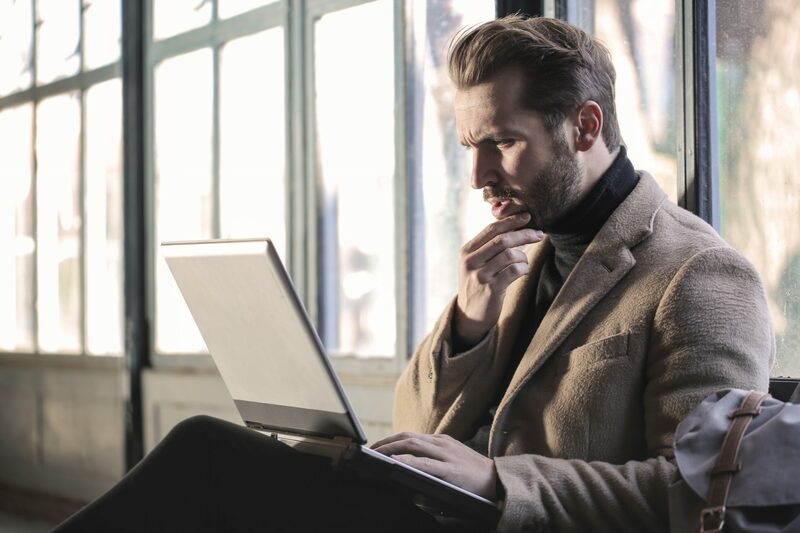 With accurately transcribed market research transcriptions, insight professionals are enabled to gather information without having to comb through multiple hours of audio. TranscriptionWing also offers the option of verbatim transcription which captures every utterance from audio and video recordings, making sure that nothing gets lost or misinterpreted. 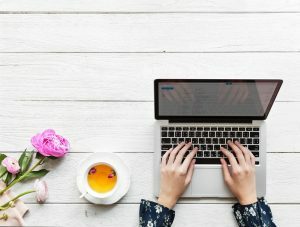 In addition, TranscriptionWing is one of the few companies that still offers human transcriptions with live, experienced editors with backgrounds in the study of Journalism and Writing. These talented professionals further help assure accuracy, which is of particular value when the stakes of accuracy are high. Additional TranscriptionWing services include InSummary™, which prepares meeting minutes from an audio conference as an alternative to an in-depth transcription. Transcription options are abundant, but Civicom’s TranscriptionWing has for years stood out from the crowd through its attention to detail and high-quality customer service. 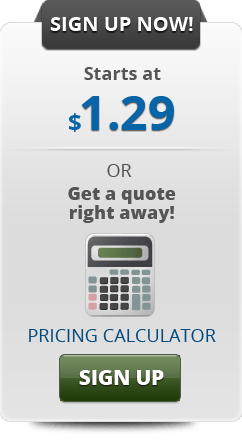 Customers flock to TranscriptionWing for the advantages of these benefits. 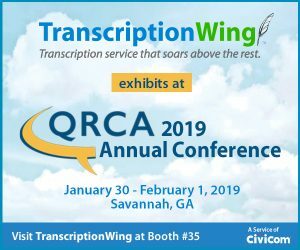 QRCA conference attendees are encouraged to visit booth #35 to learn more about TranscriptionWing’s latest services and features. Practicing law is more than attending corporate meetings on a daily basis and walking through court hearings one after another. These are just the tip of the iceberg for common law firms. Even the big screen depicts it as the legal profession often associated with hard labors over mountains of paper works – may it be for drafting settlements or reading transcripts for an upcoming case. Reviewing depositions. All matters in need of a legal resolution start with a deposition. 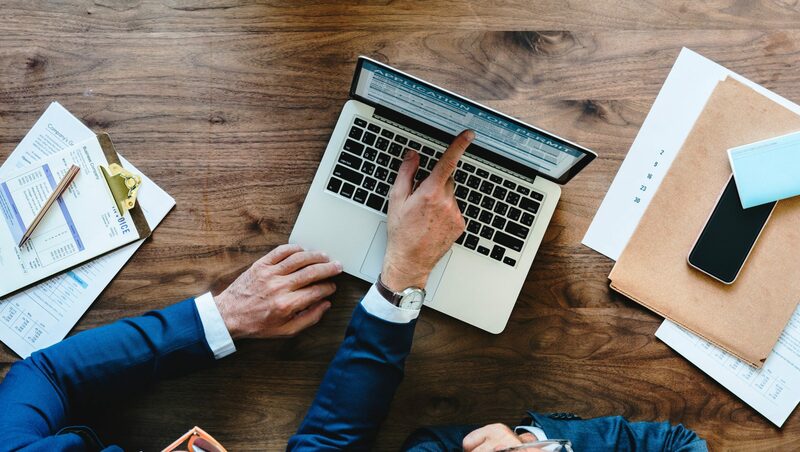 Depositions are vital for it serves as the stage where parties gather all the necessary information to win a case or to settle a corporate dilemma. These include sworn testaments by individuals involved in the issue. These interrogations are often captured through audio or video recordings. After being mindful of asking the right questions, law practitioners then need to thoroughly analyze the collected data to build a case. If there’s time to spare, they can rewind the recordings to capture details they may have missed during the witness examination. However, since law practitioners are busy people in general, they should opt for an alternative that provides a faster and more accurate route on note taking and reviewing — deposition transcripts. With everything typed out, identifying key notes, dates, and evidences have never been easier! Preparing for trials. Anything can happen in a courtroom. With both parties playing their best cards to a judge or jury, it is only reasonable to study everything to prepare for the next proceeding. A rebuttal in court may branch to a brand new lead and a fresh set of evidences — paving new strategies in potentially winning a case. Legal transcripts help to easily pinpoint facts and take note of new ones mentioned during the trial. Unless you’re confident in your memory recall skills, having a written version of the proceeding might just save you from missing out on one tiny detail that could turn the tables and result to your victory in court. Taking note of company meetings and conferences. Law firms are no exception from meeting marathons, whether it be to clients or within the organization. Moreover, there are local and international legal conferences being organized here and there that could widen a practitioner’s understanding and appreciation of the field. Transcripts are an effective and efficient method of keeping important records, reviewing meeting notes at leisure, and catching up on missed conferences that are beneficial to the company and its members. Archiving. Much like any other industry, change is constant in the field of law. Deals may be tweaked, dismissed cases may be reopened, and legal advice may be altered. When instances like this happen, an archive saves the firm from going back to square one and redoing everything. Documents such as previous deposition transcripts and old meeting notes can be reevaluated to come up with another resolution. In a way, legal transcriptions are written evidences of a law firm’s day-to-day activity. With every documented court hearing, client meeting, or company-wide assembly, transcripts are guilty in making filing and searching for particulars easy-breezy. Video transcriptions have made it easier for people all over the world to understand and utilize media outputs. Not only does it help in increasing a video’s number of viewers but it gives more people the ability to understand it as well. These people include deaf or hard of hearing viewers, people who speak other languages, and those who are in a loud environment. Video transcriptions may contain different elements that can help make it more effective. Among these elements are time codes and timestamps. Timestamps, in general, are used as time markers embedded in transcripts either in regular intervals or any time a particular event takes place — change of speaker, language, question, etc. These are used to find a specific point in long audio or video outputs. On the other hand, time codes for a video must be frame-accurate so adding the milliseconds are important. This element is commonly used for subtitles and video captions but it has other uses as well. 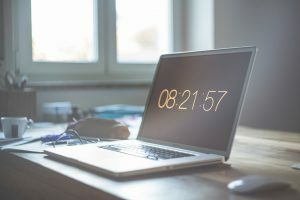 Editors greatly benefit from these time codes as it allows them to use particular scenarios more easily and accurately synchronize subtitles with each scene. There are lots of English words that sound similar so distinguishing them from each other can be difficult. The same goes for similar sounding names that are spelled differently. This certain type of timestamp can be used if the transcriber isn’t sure of a particular word’s spelling. An example of this is shown below. Eg. I met with [Stephen 02:43:01] last week to discuss about our current goals. — The spelling of this word is uncertain since “Stephen” can also sound like “Steven”. In transcribing, there are cases where it’s difficult to make out what the speaker is saying, especially when there’s too much external noise. In these situations, stating which parts have inaudible words can be useful as this helps the client identify which words can’t be understood. It also gives the transcriptionist a way to note inaudible sounds rather than just guessing what word it was. Eg. Our meeting will be held at [inaudible 00:27:16] tomorrow morning. During meetings, speakers overlapping with each other is common especially when there are a lot of participants. This timestamp can be used to identify who is talking at a specific interval. Most transcribing services simply mark the segment as [crosstalk] and then state the next parts that can be heard with the corresponding speaker. A discussion doesn’t always have just one host — there are times when each topic is handled by different speakers. In order to identify this change, timestamps can be used every time a new host is heard to avoid confusion. [00:00] JM: What was your first impression when you used the product for the first time? [00:09] DV: Well…honestly, at first, I was a bit skeptical since the product was a lot cheaper than normal so I didn’t really want to use it but I’m glad I did. Transcribing video outputs can be difficult since they need to coincide with the video content. However, knowing the different uses of time codes and timestamps and how to effectively utilize them will greatly aid in producing quality video transcriptions that meets client satisfaction.